When you mix, The high sea, Beautiful Ports or Call, All enclusive cruise ship, and Jazz you have a beautiful combination. This is the Joyner Cruise, this is the matures, with class crowd. A beautiful trip, wonderful port, Great music. The Smooth Jazz criuse is hight recommended. 6 days, 7 night on the high sea, enjoying the beauty of exotic port, blended with a mix of Smooth Jazz, from some of the greatest musian to touch the high sea. So which artists will perform on The Smooth Jazz Cruise 2019? 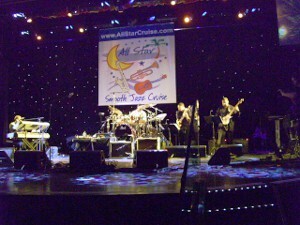 Recent Smooth Jazz Cruise News! !